How soon until we see one of these with the Facebook logo? What if a smart speaker could recommend a gift to send your mom and remind you to call her on her birthday? What if it knew the concert tickets you were most interested in and which of your friends also wanted to go to the show? If that strikes you as a product that Amazon, Google or Apple would most likely introduce first, you’d be wrong. While that trio of tech behemoths is making strategic investments in voice artificial intelligence, the company poised to have the biggest impact hasn’t entered the game—at least, not officially. Facebook hasn’t formally announced plans for a product that would compete with Amazon’s Echo line of products, Google’s Home speaker and Apple’s HomePod. But according to anonymous reports, spokesperson hints and recently discovered code, Facebook is developing a voice assistant and voice-powered hardware devices. Facebook is positioned to transform the voice assistant category with its wealth of social and interest-level data. It is home to billions of connections among consumers and between consumers and brands—Facebook has 2 billion monthly users, 1.3 billion of whom use Messenger on a daily basis to communicate with friends, family and, increasingly, with businesses. While the other digital giants have a bit of a jump in voice software and hardware, Facebook has a unique and significant advantage in its social graph. Consumers don’t need another device or application to set an alarm, order detergent or check their bank balance, which are the kinds of commands and transactions Siri, Alexa and Google’s assistant can handle with ease. 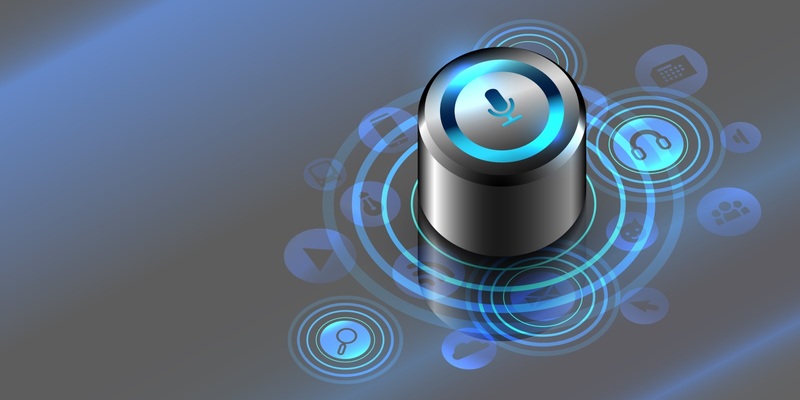 The untapped opportunity is to use voice assistants for communication, not just automation. Personal connection is core to Facebook’s ethos, and it has been a talking point for the social network’s consumer hardware team, Building 8, which is reportedly developing voice-powered devices. Regina Dugan, who had been leading the team, spoke to the profound “power of connections” in a Facebook post earlier this year cited by Bloomberg as insight into what the team is working on. Social-first hardware advances, she wrote, are an important part of helping people connect with one another today. While Amazon has a head start in rolling out voice and video calling capabilities through its Echo devices, Facebook has a hefty advantage. Earlier this year, Amazon opened up the ability to connect through audio and video calls on its Echo devices. Unlike Facebook, however, Amazon has no proprietary social graph to underpin these features. A 2016 report from Pew Research Center found that 79 percent of adults online use Facebook, and this number seems to be growing. When I open the Alexa app on my phone, I see that about 20 of my contacts have connected devices. But when I open Messenger, I see hundreds of friends and one-dozen conversations with people I regularly talk to on Facebook. The only other company poised to capitalize on social connections in this way is Line, the Japanese messaging platform that launched in 2011. Once people are regularly conversing through a voice-powered device, there’s a natural opportunity for brands to get involved—not just by broadcasting audio ads, suggesting recipes and coupons, or answering queries, but by actually interacting with customers.